The impending retirements of aging advisors, combined with the increased appetite for advice among millennials, will make automated advice services a necessity, Celent predicts. Automation can benefit the entire lifecycle of a client relationship, Trout said. The impending retirements of aging advisors, combined with the increased appetite for advice among millennials, will make automated advice services a necessity rather than a distinguishing feature, a Celent report predicts. A 2014 report by Cerulli Associates found the average age of financial advisors is almost 51, and 43% are over 55. In the Celent paper, “Gold at the End of the Rainbow,” William Trout wrote that as boomers retire from other industries, the “trend to superannuation also applies to firm advisors.” As they leave the industry, the pool of advisors available to serve clients will force firms’ hands toward automation. “This dearth of advisors will mean that firms will be obligated to serve clients via automated channels, whether they like it or not,” according to the report. 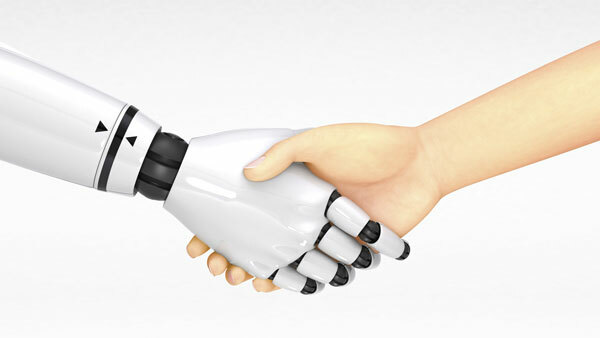 “One of the most attractive features of automated distribution is the client onboarding process, or even before that, the prospecting piece, which engages the prospect to actually provide the information and once he or she is interested in the service, it automatically on-boards them,” Trout told ThinkAdvisor on Wednesday. He said that banks in particular struggle with cross-selling because their “information is siloed. They can’t sell investments to the mortgage client because they don’t know about the mortgage. [Automated delivery] enables management of information for cross-selling and an expansion of the relationship more generally.” Trout’s paper focused on the de-accumulation needs of clients as they enter retirement. He wrote that even when discussing de-accumulation strategies with clients is uncomfortable, it’s important to do so because many of their clients are boomers and thus facing an immediate need for it, especially in light of extended life spans and risks to programs like Social Security and pension plans. After a few years, retirees’ expenses become more moderate, but in their final years, health care and assisted living expenses increase. Trout stress that automation doesn’t replace advisors; in fact, it gives advisors more opportunity to connect with their clients. He said that many providers have become “estranged from the end customer in many ways.” For example, insurers more commonly sell to brokers than to retail consumers.